Just a day after an energy packed, 25-minute 'The Grime Show' Session with Logan Sama, the London City Warlord swings back with "CR7". Riko Dan launches into this joint, produced by Filthy Gears, with his infamous patois tongue and burst fire rhyming schemes. 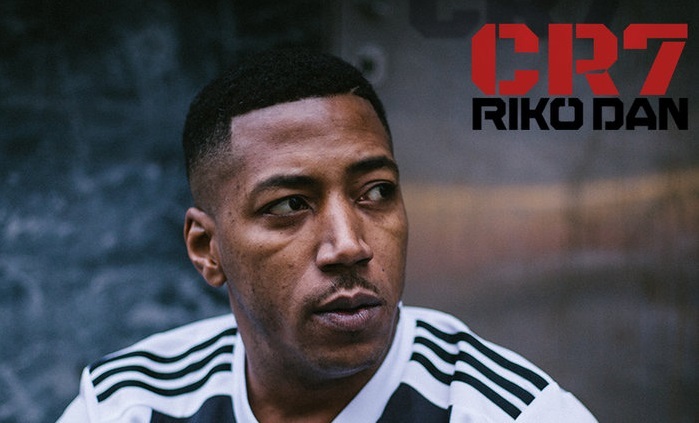 "CR7" showcases a variety of flows from the OG MC – from the calmly laid-out bars that he begins the first verse with, to a rapid, stuttered delivery at 2:30. As the track states, Riko seriously does hit the target like Cristiano Ronaldo, and this track is another reminder amongst hundreds of others that the Warlord is still dangerous. Find Riko Dan on Facebook, Twitter, and Instagram for more updates.